The Lord of the Rings is a fantasy novel of J.R.R Tolkien in three volumes published between 1954 and 1955. The first novel is The Fellowship of the Ring, the second is The Two Towers and the third is The Return of the King. That trilogy is famous across the world and had been adapted in movie by Peter Jackson. Firstly, the young boy doesn't know the world around him ( the others shires, lands, mountains... ). Indeed, in his life he passes his time to laugh and to have fun with his friends Pippin and Merry as well as his best friend Sam. For example, the night he goes at bar to sing, dance with them. Therefore, an impression of gullibility arise from this young boy. More later, Gandalf ( the white wizard ) comes in the shire in order to announce to Frodo that the ring must be put in security because this one represents a real danger for people. In this first part, we can noticed that this world is pleasant but there is a death threat which weigh upon all the residents of this world. For the first time they set feet in another place. And because they are outside the shire they resent a feeling of liberty. But, this sensation tend to their remember that their aren't at their home. And that henceforth, it's a long and dangerous adventure which starts. Here, it's the link that we can establishes with the Booker's shema. So, we are in the Dream stage. 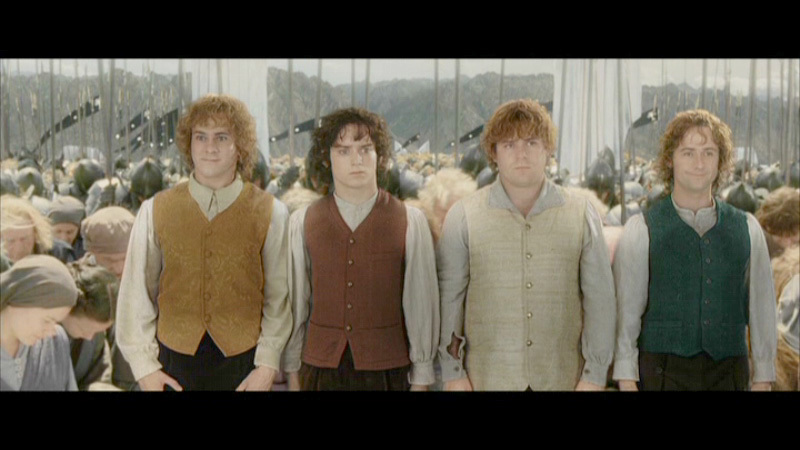 In this third part, Frodo and Sam have meet their league (The Fellowship of the Ring ). But, they are tracked by the Black Knights that's why they are frightened but more especially they feel oppresive because they are conscious that they aren't in security. More later, the league is attacked by Sauron's men. 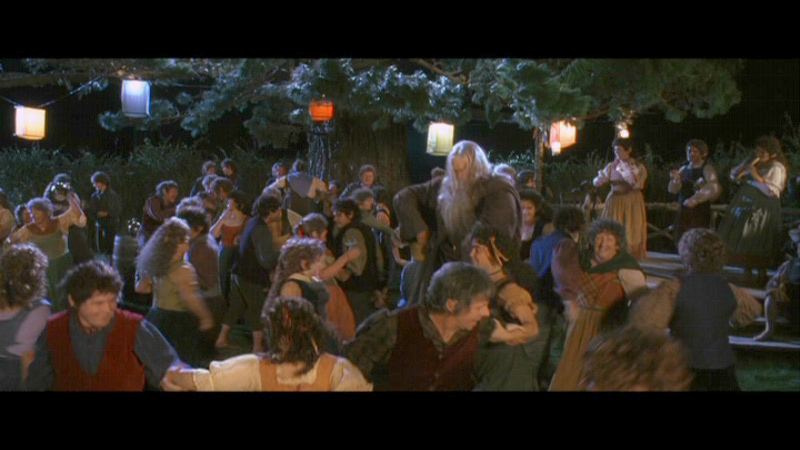 And during this passage the two friends are separed from The Fellowship of the Ring. Therefore, they must continue their road alone, without any protection in direction of the Mordor ( the place where is Sauron's mind ). But, Frodon begins to be a little possessive about the ring. Also, he is increasingly agressive, frustrated and dark. Indeed, the ring is implicity the evil, it's a sort of obscure strenght which arrive to take possession from his mind. This object as a real bad influence on Frodo, that's why his personnality has changed. As we have said precedently, the ring has a harmful influence on Frodo.. But each time, that the two best friends move closer of the Mordor, the young boy Frodo did more and more nightmares... And because of all these nightmares, Frodo becomes brutal,hostile but also choleric For example, he doesn't want to give the ring at Sam only for some hours. In reality, Frodo is oppresses by the ring. This ring is become a shadow and now this shadow poses a threat on the hero. Here, the link that we can establishes with the Booker's shema is that the hero, isn't the same person. In fact, he resents a stronger oppression on account of all this nightmares, he no longer has control on his emotions. To clonclude, he is oppressed. This episode, correspond to the Nightmare stage. At the end Frodo has manage to destroy the ring in the flames of Mordor and thanks to this heroic act the Sauron's mind isn't present. 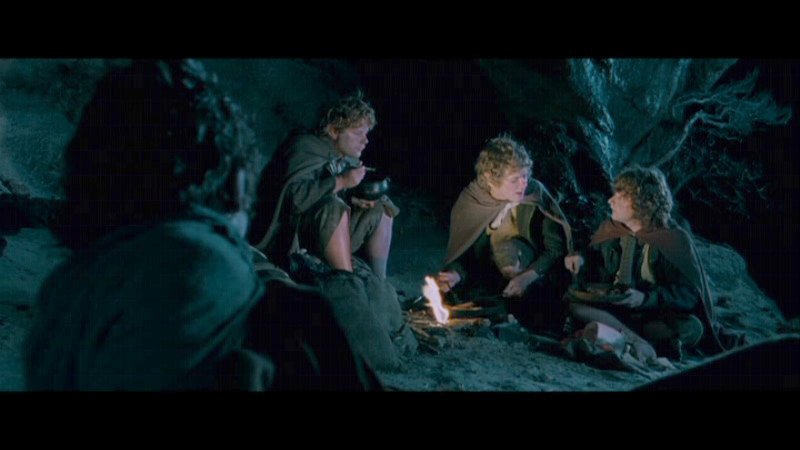 Thereby, Frodo and Sam are returned in the Shire. 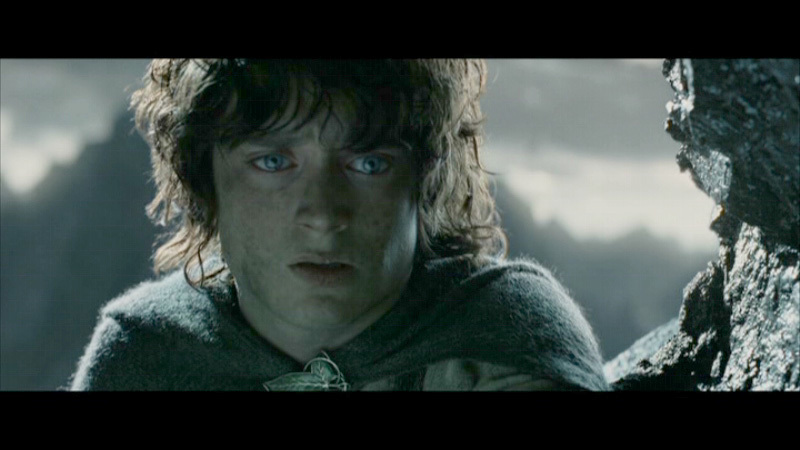 We can say that this journey has been positive for Frodo, because this one has won in maturity. Furthermore, he is no longer the young and artless Hobbit that he was. 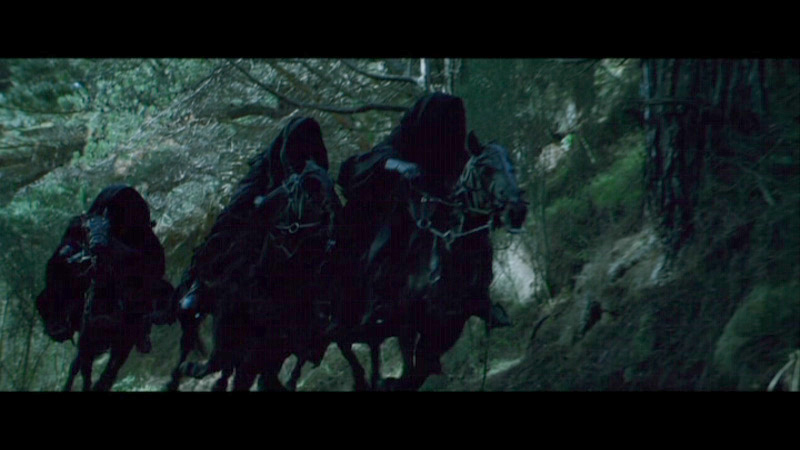 Frodon, has totally changed, it's a new person who wants to leave the shire. Henceforth, he has need of calm, to live in a peaceable place. Frodo thinks as an adult and he is much wise mentally. In this part it's the end of evil and the main character has changed mentally. He has evolved, he has fundamentally changed. It wasn't just a dream ! So, it's that we can say about the Thrilling escape and return of the main character. Now, it's a responsible person.